On a planet with three-quarters of the surface covered by water, maritime (ocean) communication between ships has always been important. 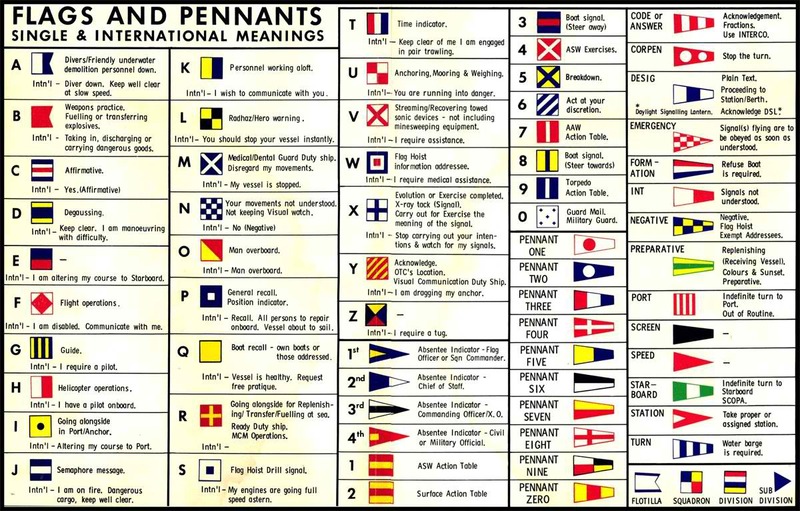 The International Code of Maritime Signals is a frequently reviewed and updated system of visual, Morse Code, and spoken signals focused on navigation, safety, and medical emergencies. Single-letter signals which are very urgent, important, or common. Two-letter signals for other messages, sometimes followed with a number which modifies the message. Three-letter signals beginning with "M"; these are the Medical Signal Codes. For people with an interest in working or playing on the ocean, familiarity with the flag signals can help observers understand what is happening at the marina, port, beach, or open sea.